Make a quick donation to Community Conscious Radio and select a Thank You gift when you give! If you have a WMNF membership login, please enter your login details in the boxes below. You may create a membership account below while making your donation. 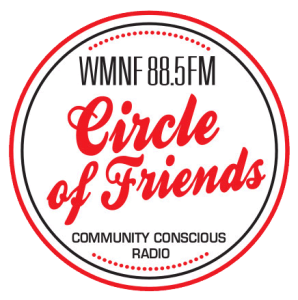 Already a Circle of Friends member? How much do you want to give each month? 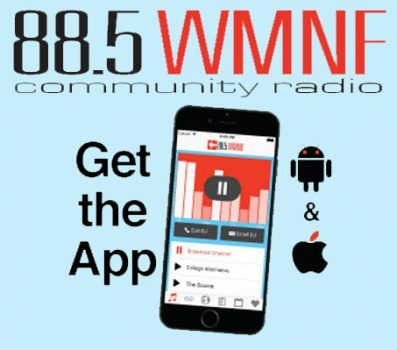 Create a WMNF membership login by entering the information below. 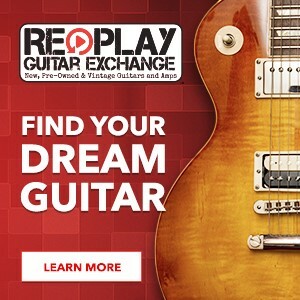 If you are a returning member, please login at the top of the page. If you heard the DJ announce a gift that you could not find in our Thank You gifts or on the page of the show you are supporting, be sure your donation amount is enough and enter the name of the gift in the notes section above. What are Cookies or External Scripts and how are they used? We do track how our visitors use this site so that we can see what people like and don’t like. We also analyze and aggregate information about use patterns and share the aggregated data with our advertisers (for example, we keep track of how many users see and click on particular advertisements). We may also collect personal information about you via registration for tickets, contests, surveys, and newsletters, which may include tickets, contests, surveys and newsletters for certain third parties. We will not, however, release your name, e-mail address or any other personal information to anyone else outside WMNF unless we have your consent, we are under a legal order to do so, or there is an emergency involving danger to a person or property. This means that we will not provide our advertisers or anyone else outside WMNF with any information specific to you unless we have your consent. If you choose to provide your personally identifiable information for the purposes of a third-party ticket, contest, survey, or newsletter, your consent shall be deemed to be given for the release of your personally identifiable information with regard to that third party only, in addition to WMNF. The only WMNF employees or consultants allowed access to personal information about you are those who need to have access. Any employee or consultant who violates our privacy and security policies is subject to disciplinary action, including possible termination or prosecution. We have third party agents, subsidiaries, affiliates, and joint ventures that perform functions on our behalf, such as credit card processing, shipping or stocking orders, providing customer service, etc. They have access to personal information needed to perform their functions, and are regulated or contractually obligated to maintain the confidentiality and security of the data. They are restricted from using or altering this data in any way other than to provide the requested services to the Site. External scripts are those used by a third-party to collect data on our behalf. Such as a Google Analytics script to collect website activity for important statistics WMNF uses to make this website better. IP address tracking: All computers and servers on the Internet use IP addresses to recognize and communicate with each other. We collect IP addresses to administer and analyze our site and report aggregate, non-personal information (such as how many visitors we have). When you call up our site on your computer, our servers enter the IP address of that computer into a log. To maintain our users’ anonymity, we do not associate IP addresses with records containing personal information unless collected during a transaction process like purchasing tickets or making a donation. All areas of the WMNF.org website are provided using encryption, which means all communication with your computer is secure (see Transactions and Our Secure Server for details below) from various secure forms within the WMNF website such as making a donation or registering for an event. From time to time, we may send you information with announcements and updates about the site and WMNF and our partners. Any ongoing communication you may receive from WMNF via e-mail, such as newsletters, subscriptions, contest results, survey inquiries, etc. may be terminated via a simple “opt out” procedure. You need only reply to the communication with the word “unsubscribe” (without the quotation marks) in the body of your e-mail response and your name will be removed from that mailing list. WMNF does not orient this site toward children under the age of 13 or target them as an audience, nor does it screen them from using the site. Some of the material on this site is for mature audiences, and parents and guardians should take responsibility for monitoring their children’s use. Children under the age of 13 should not use this site. WMNF does not collect or distribute information indicating whether a user is a child. This site provides links and pointers to Web sites maintained by other organizations. WMNF provides these links as a convenience to users, but it does not operate, control or endorse such sites. WMNF also disclaims any responsibility for the information on those sites and any products or services offered there, and cannot vouch for the privacy policies of such sites. WMNF does not make any warranties or representations that any linked sites (or even this site) will function without error or interruption, that defects will be corrected, or that the sites and their servers are free of viruses and other problems that can harm your computer. All transactions including donations or the purchase of tickets to WMNF events and other ways we collect data on this website are processed through secure encrypted connections. We make every reasonable effort to ensure that your personal information is protected at all times. Any transactions taking place on other sites that have a link from our site are not necessarily handled in this fashion. WMNF disclaims any responsibility for transactions conducted on those sites and cannot vouch for the security of the information submitted in those transactions. Democracy Now!Friday, 9:00 am - 10:00 amHard-hitting public affairs with Amy Goodman and Juan Gonzalez. Art in Your EarFriday, 1:00 pm - 2:00 pmSurvey of the local arts scene with JoEllen Schilke.